The image below shows all the pre-configured Merge fields you can use out of the box with this extension. Add new custom data entry in the column of the right: Click this button in order to add a new entry at the list displayed when clicking the dropdown on the right column. The data entered in the pop up will be used for remote field creation. 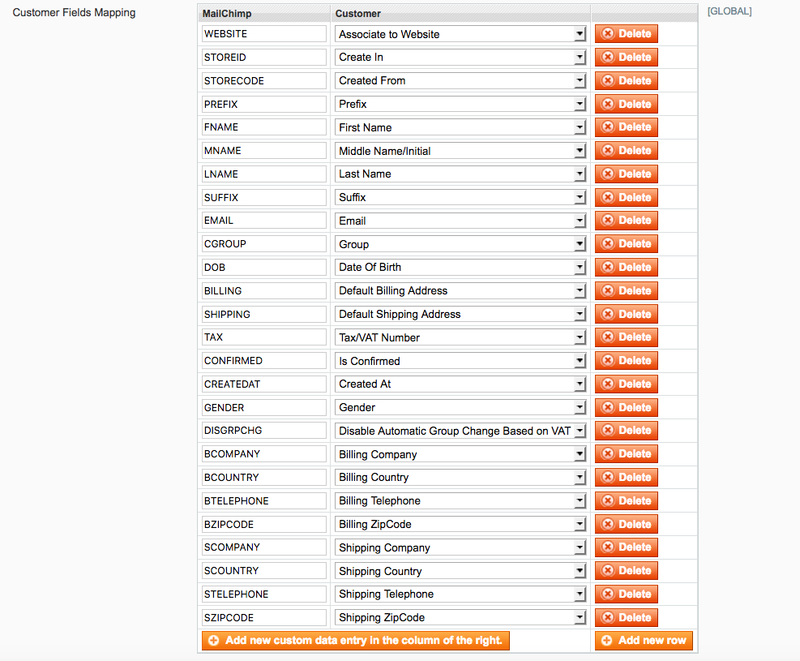 Add new row: Click this button in order to add a new field to be sent to MailChimp with the customer data.